The approximately 2,450 miles of pavement connecting Chicago and Los Angeles known as Route 66 is a fascinating piece of American history, especially when you can see the slow evolution, or in most cases the continued decline, of iconic sights along the way. 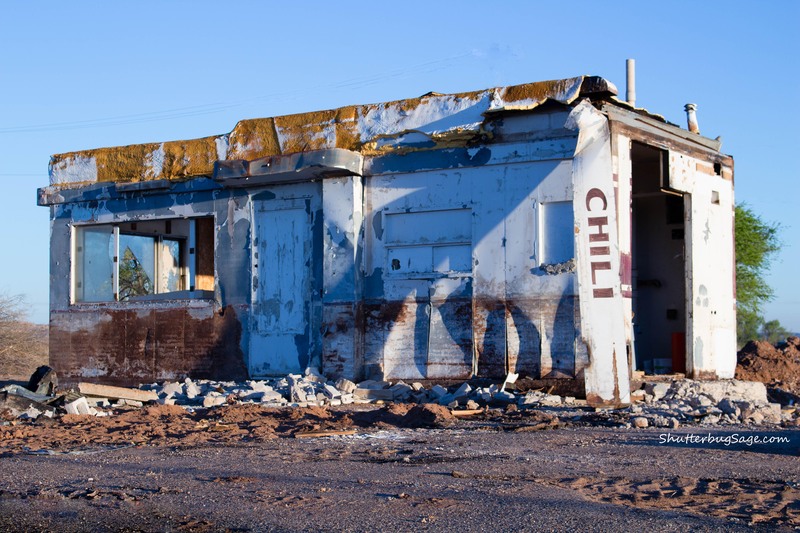 On the stretch of Route 66 running through Tucumcari, New Mexico, home to more than 40 amazing murals by artist Doug Quarles, is the long-abandoned Westerner Drive-Inn. Taken just after sunrise in March 2016, the old Westerner Drive-Inn is just a skeleton of its old glory. Once surrounded by more than twenty drive-in parking spots under a canopy, this is all that remains of the old Westerner Drive-Inn. See it as it once existed here. 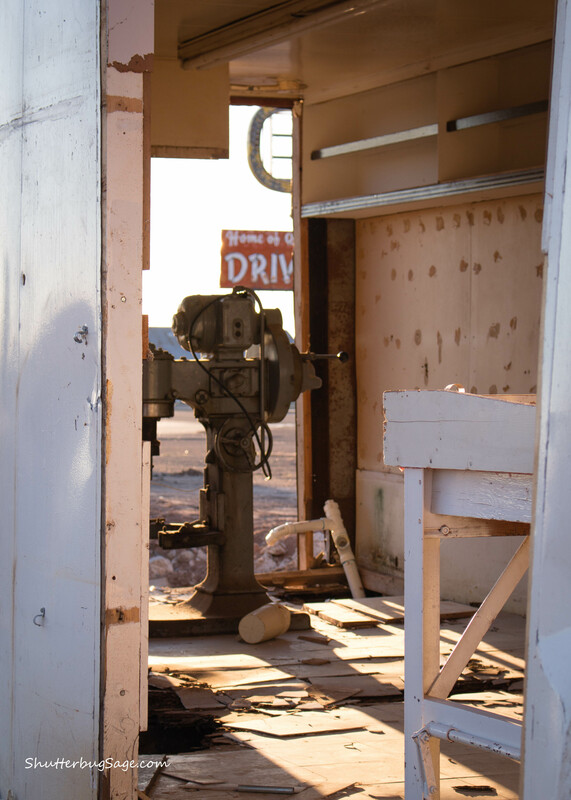 This industrial mixer, clearly visible through missing doors and broken glass windows is all that remains of the abandoned Westerner Drive-Inn kitchen. 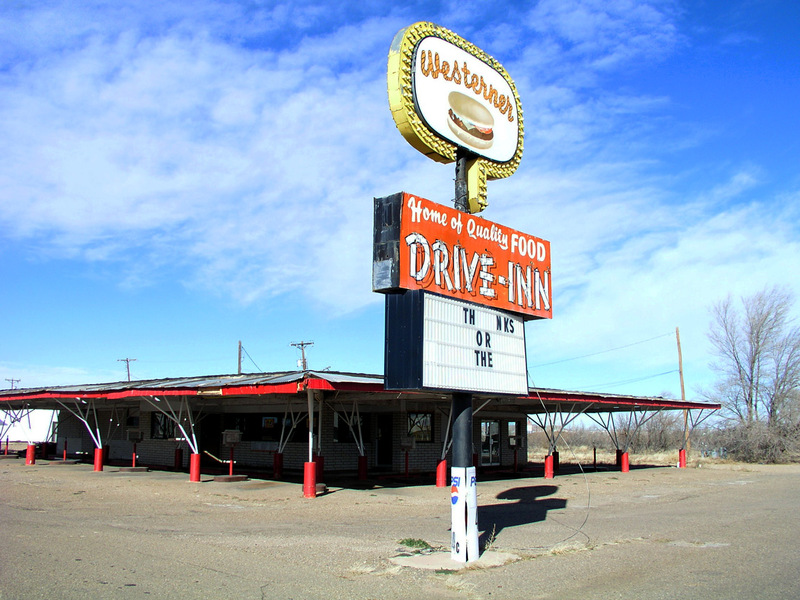 See how the Westerner Drive-In has changed over time. 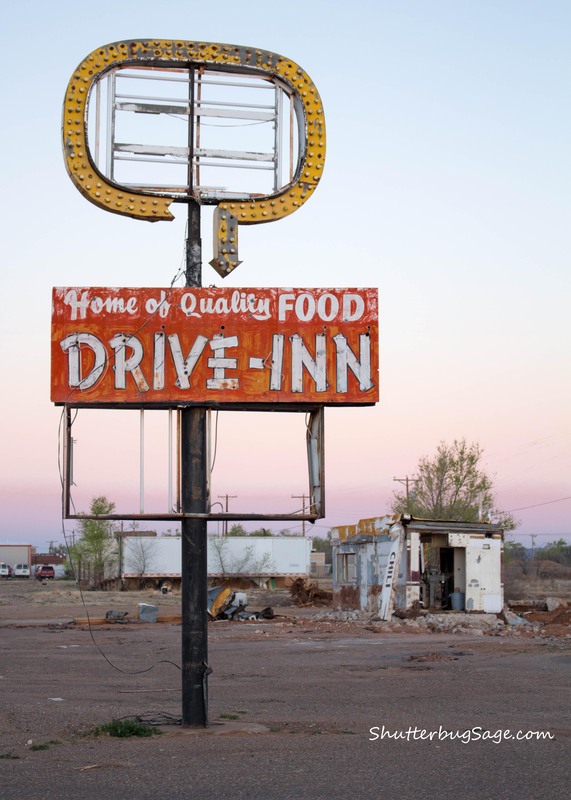 Here is a selection of photographs of the old Westerner Drive-Inn from other photographers. Check them out to see the changes in the abandoned building over time! Do you have a photo to add to the list below? Leave me a note in the comments section with a link to your photo and the approximate month and year it was taken.